Warning lights can be scary when you are driving and can’t immediately figure out what is wrong with your car. The engine and airbag light are some of the dashboard lights that you need to take a particular interest in. Airbags are designed in such a way that they inflate whenever there is a collision. Airbags are lifesavers when you are speeding and hit another car head-on or hit a stationary object. If you do not have an airbag, you could find yourself being thrown through the windscreen. When you hit something at high speed, your car will start to decelerate, and this will activate an accelerometer that triggers the airbag circuit. The airbag circuit has a heating element that is activated through an electric current. This heating element promotes an explosion inside the airbag that generates a harmless gas rapidly. Most of the airbags use sodium azide as the explosive element and the gas produced can either be argon or nitrogen. This gas floods the airbag and causes it to expand, hence protecting the driver from injuries by occupying the steering wheel and at times the side. The airbag acts as a cushion. The first thing you need to understand is how airbags are deployed in the car in case of an emergency. Now that we know how airbags operate, it is time to learn how to disable faulty airbag light. Airbags have sensors and a signal module that is used for deployment in case of an accident. With time the airbag sensor and module will stop functioning well due to wear. In the passenger seat is an occupancy sensor that sends signals concerning the passenger weight and prevents unnecessary deployment when you are carrying stuff on the seat. Some cars have a “passenger seat Airbag on/off button.” This is the first airbag light you should check when you want to remove airbag light without a scanner. If the light is functioning well, it should turn on when someone occupies the passenger seat. You can have the set removed and a new pad put in place, or you can bypass the occupancy sensor and install some affordable plug and play kits. This will activate the passenger airbag when the car is running, but you will have to disallow children from seating there. You will need to be extremely careful when working with the airbag connections. One wrong turn could cause the airbag to blow up on your face. The benefit of using a plug and play kit is that you do not need to disconnect the yellow connectors underneath the seat. The wires simply bypass the module in the car. Alternatively, you can use a universal kit but, you will need to split the wires – something that is hard if you are not an electrician. Can you reset the airbag system without a scanner? You should always check the airbag codes with a scanner and repair the problem before trying to reset the light. It’s possible to reset it without a scanner, but you do not really want to reset an airbag light when the problem still occurs, because you can make the airbags to deploy. Check the wiring system underneath the car for any loose wires. If this is not the problem, then you need to check the airbag clocking system. You will find this system between the steering wheel and the steering column. The clock spring is responsible for the steering wheel mounted buttons, airbag deployment, and car horn. If the horn is also malfunctioning, it means you have to dismount the steering wheel. Since you want all your capacitors discharged, you will need to remove the negative cable on your battery for 10 to 15 minutes. With your wheels and steering wheel being straight find screws that hold the steering wheel in place. The center screws also hold the airbag in place. Look for the connector and once removed you can pull the airbag out. Remove the steering column. The screws may be hard to locate, and this will necessitate you to rotate it to the left and right. Have some painters to acts as alignment when returning the steering wheel. A faulty clocking system is one way to have a faulty airbag light. Replacing with a new one is one way you can remove airbag light without a scanner. Next, loosen the steering nuts using a breaker bar. This ensures that you do not remove the steering wheel completely. Pull back and forth because the steering wheel could be strongly attached to the steering shaft. Once this becomes loose to remove the nuts on the steering wheel, and you should see the clocking spring. 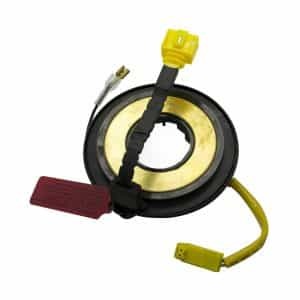 You will notice some form of a harness that connects the clocking springs at the bottom and back of the steering wheel. Most of the time the clocking spring is held in place by clips, but you may find some bolts. Install your new clocking spring. You will find some tab that comes with it, break this off by bending it. Fix any connecting wires and re-install your steering wheel. To test whether the new clocking spring is working check your horn. Checking the passenger airbag circuit connection and the clocking system are some of the ways that you can remove airbag light without a scanner. If all of these do not work, you may be forced to check the error codes from your onboard diagnostic computer and send them to professionals. Dashboard lights inform the driver of something wrong with their car. The engine and airbag light needs closer attention as it leads to further problems if not attended to. 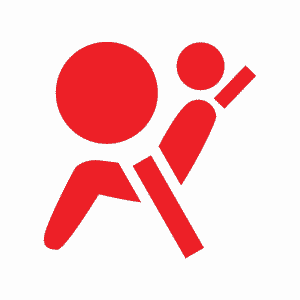 If your airbag keeps coming on you may need to check connections on the passenger seat and the clocking system. The passenger seat has an occupancy sensor that when malfunctioning can lead to the rapid deployment of the airbag. Fixing the sensor will solve this problem. The other problem could be with the clocking system. The system controls the car horn and steering wheel deployment. If it is faulty, you will need to reset airbag light without a scanner. You will first need to dismantle the steering wheel before installing a new clocking system.